Green Industrial™ paid 100% upfront before ANY equipment was removed from this location. Contact our team today or call us at 262.476.5045 to inquire today! This project was involved and coordinated between Green Industrial™'s professional team of asset recovery specialists and BMW's purchasing, production, and manufacturing facilities teams. This Boeing project is a great example of how Green Industrial™ is able to provide our clients with positive value for assets located in closed or soon-to-be closed manufacturing facilities. From start to finish, Green Industrial™ was on-site for 1 week. Green Industrial™ paid 100% upfront before ANY equipment was removed from this location. Contact our team today or call us at 262.476.5045 to inquire today! Green Industrial™ was able to find significant useable value for Entergy from a coal fired power plant that was destroyed by Hurricane Katrina. Green Industrial™ paid 100% upfront before ANY equipment was removed from this location. Contact our team today or call us at 262.476.5045 to inquire today! Green Industrial™ was contacted by Briggs & Stratton / Simplicity regarding the liquidation of their recently closed Port Washington, Wisconsin manufacturing plant. Green Industrial™ proposed several options for the purchase or remarketing of unneeded equipment. Green Industrial™ purchased all remaining assets and agreed to perform selective demolition to bring the building up to the standards required by the new property owner. By utilizing Green Industrial™'s turnkey solution, Briggs & Stratton / Simplicity received a positive value for their remaining equipment and a solution that completely satisfied the company's unique requirements. Asset Recovery: Spartanburg Steel Products Inc.
Green Industrial™ approached Delphi to recoup value from left over equipment at its closed Oak Creek, WI location. Green Industrial™ worked with the management on site to determine their exact needs. Through Green's turnkey process, we were able to provide our customer an easy transaction for several difficult to remove items. Green Industrial, as always, provided up front payment and a quick and safe removal timeframe. Once the required work was completed, Green Industrial™ continued to serve Delphi to recover funds for other equipment not originally slated for disposal. 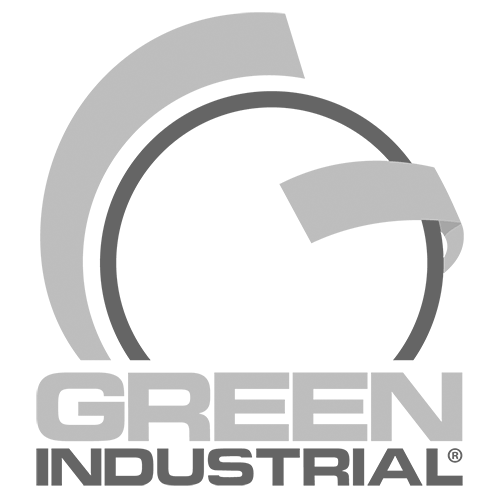 Through Green Industrial™'s extensive worldwide customer base, Green Industrial™ was able to work quickly to provide Delphi with maximum value on a very short timeframe. The INTERMET project is just one example of how Green Industrial™ is able to provide our clients with positive value for assets located in closed or soon-to-be closed manufacturing facilities, locations, and warehouses. Contact our team today or call us at 877.GIBUYS-1 to inquire. This project included the removal of components from GM's previous Saturn auto manufacturing facility and the purchase & removal of more than 750 used robots spanning four (4) production plants (Lansing, MI and Baltimore, MD). An additional ten (10) robots were liquidated from GM's Ramos Arizpe facility. Contact us today to find out about our asset recovery solutions and browse our online catalog of thousands of recovered assets. This project was extremely time-sensitive. Green Industrial™ was asked if this project could be completed in 4 days. Green Industrial™ completed the project in 18 hours from start to finish. Due to its extremely time-sensitive nature, Green Industrial™ worked non-stop until project completion. At no point was quality or safety compromised. Intelliverse and building management were both extremely satisfied with the quick and quality result. Green Industrial™ was hired to remove and restore this data center back into leasable office space. Green Industrial™ worked with building management and Intelliverse to complete this project under a tight deadline while maintaining the high quality of work for which it is known. Green Industrial™ was able to complete the project at less than 50% of the cost of the next closest bidder for this project. Both Intelliverse and building management were extremely satisfied with the end project result. Green Industrial™ purchased and removed a complete frame manufacturing line from Tower Automotive, used in the production of the Ford Ranger truck series. By implementing its turn-key process, Green Industrial™ was able to leave Tower Automotive with cleared floor space and payment in full for the complete project. Green Industrial™ purchased this line in place and removed all assets to include Industrial Robots, Welding Equipment, Electrical Busway, Electrical Bus Plugs, Electrical Circuit Breakers, Electrical Motors, Manufacturing Electronics (PLC's, Panelviews, Motor Starters, Pushbuttons, Etc. ), Hydraulic Power Units, Safety Curtains, and more. This Tower Automotive project is an example of our 100% turnkey process in action. Green Industrial™'s asset recovery service is comprehensive and includes removal of any hazardous waste, harmful or undesirable material, and demolition of any structures necessary to leave the client with cleared floor space and the desired outcome. Green Industrial™ was contracted by a demolition company to drive the asset recovery portion of the demolition project for this Neenah, WI paper plant. Glatfelter is headquartered in York, PA. When this Mexico-based company was looking for a company with the experience, reliability, and speed to restore a powder coat facility, Tower Automotive didn't hesitate to recommend Green Industrial™. Metalsa contracted Green Industrial™ based on a solid reputation and expertise in providing complete asset recovery solutions. The project involved removal of components, concrete work, and repair of the Tower Automotive production facility in which the equipment was located. Green Industrial™ contacted St. Mary's Hospital to recover value from assets which were located in a recently closed nursing home. Green Industrial™ was able to recover significant value for items which were not deemed sellable. St. Marys was pleased with Green's performance and did not hesitate to call when the hospital in Madison, WI began an expansion project that would last over two years. Our goal was to recover as much value as possible from the assets being removed which were no longer needed. Green Industrial™ worked with St. mary's Hospital under the timeframe required to recover the value which was needed for the project. Green Industrial™ focused its effort on the power plant and a temporary building slated for demolition. Green Industrial™ purchased and removed several robots and machining equipment from the University's testing laboratory. The University was pleased that Green Industrial™, LLC was able to remove the equipment they purchased and therefore saved UW Madison thousands of dollars. Green Industrial™ was able to purchase and remove all items within 2 days. Vishay approached Green Industrial™, LLC to provide a turn key solution for the shutdown of their Grafton, WI Semi-Conductor facility. Green Industrial™, LLC provided a positive value for the remaining equipment and was able to remove all equipment within 2 weeks. All material was removed (The Good and The Bad) and clean, swept floors remained. All work completed and all equipment removed-Right On Time!